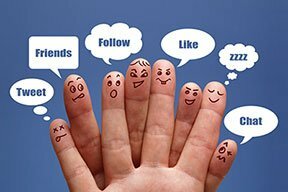 Indeed, social media now accounts for almost one-quarter (22.5 percent) of all time that U.S. citizens spend online, and this weight of activity transcends down to all levels – an incredible 91 percent of searchers say that they use Facebook to find local businesses online. These, and other amazing social media statistics, can be seen in the infographic below. 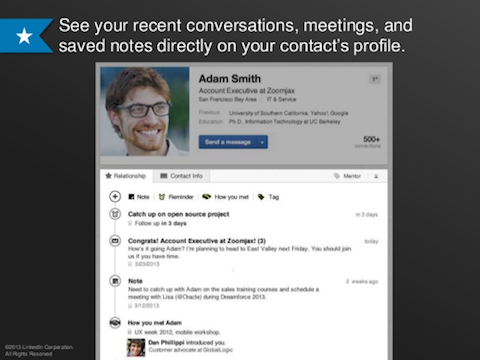 The new LinkedIn Contacts is available both on LinkedIn.com, as well as a brand-new app for iPhone and is rolling out to a limited number of members in the United States over the coming weeks. 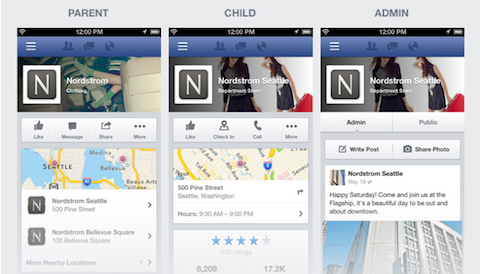 The new mobile features allow Facebook Page admins easier mobile management. 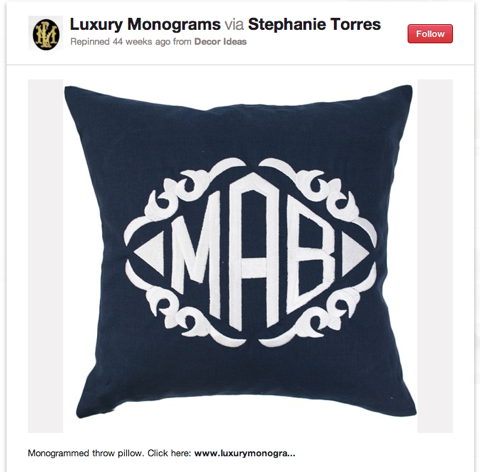 Is there an easy way to compare your Facebook Page with your competitor’s Page? What tactics do you use to drive people from social media to a website or opt-in page? Do you have a set time of day when you post to your blog? The Twitter for Mac App Gets an Update: The Twitter for Mac app has a few improvements with photos easier to share, retina display support and availability in 14 more languages. 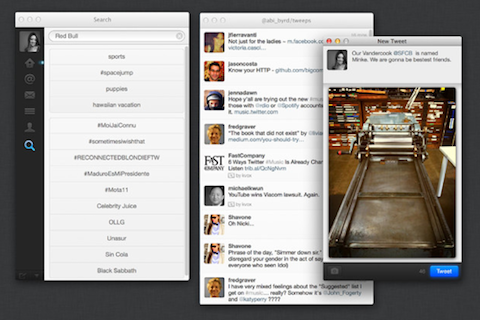 Twitter for Mac also offers "keyboard shortcuts, support for multiple accounts and timelines and other features." 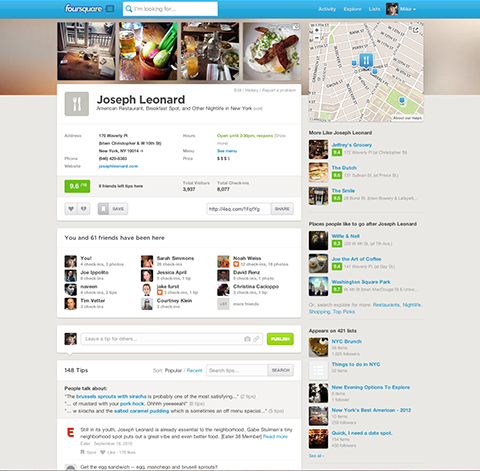 The new Foursquare web design helps you find things faster. Google+ Integrates With Google Drive: Google continues integration of Google+ with other Google products. 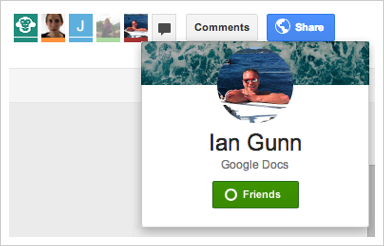 Now on Drive, you’ll see the Google+ profile pictures for the people you share your documents with on Drive. "You can hover over a photo to see details about the viewer and add them to your circles on Google+ — all without ever leaving Drive." Tumblr Updates iPhone and iPad Apps: The latest Tumblr for iPhone and iPad app update provides new sharing features and GIFs that animate when you scroll. 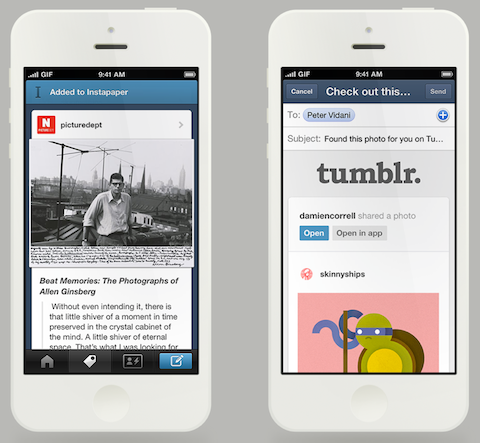 The Tumblr for iPhone and iPad app has some new features. Twitter Is Working on a Two-Step Security Solution: Wired has reported that Twitter is working on a two-step security solution to reduce the risk of Twitter accounts being hacked. Social media is one of the most powerful weapons you have in your marketing arsenal. You may have a really useful and informative website but without a healthy social media platform, you could be wasting a great marketing opportunity. Building a social media platform takes time, but it is well worth the effort and not difficult if you follow these five suggestions. You should secure your name or brand on social media sites as soon as possible. Securing your business name is part of your identity and brand. You don’t want customers to find a profile that has your name but offers irrelevant information or even negative information. This will also help in online searches on Google. If someone searches for your or your business, it’s very likely that social profiles with your name will also appear on the first page. You don’t want someone else’e Twitter or Facebook page appearing and being associated with you. So make sure you use secure you name on social networking sites and then also do the following when you set-up your account. Find the right keywords for your social media properties and gain a better picture of how to construct your messages. 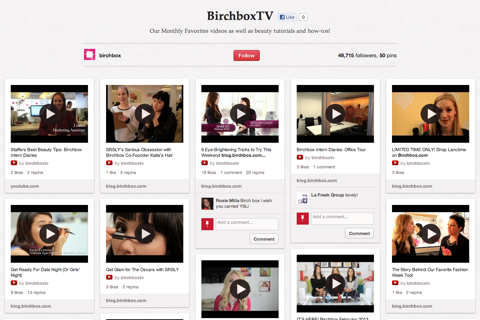 You can use the keywords for video optimization, image tagging, and tweeting. This will make sure you get the most out of your social media posts and interactions. You want to get the attention of your visitors for the social side of your business or online presence. 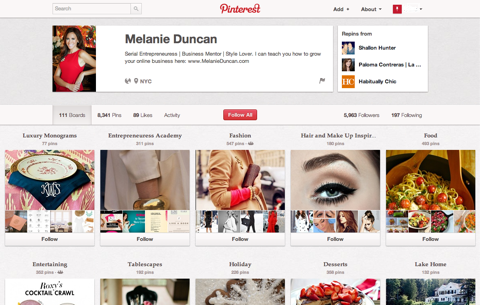 To do this, you need to have tastefully placed social media links on your website. These links should be on every page and article on your website, making it easy for users to Like or ReTweet your website or view your social media property. 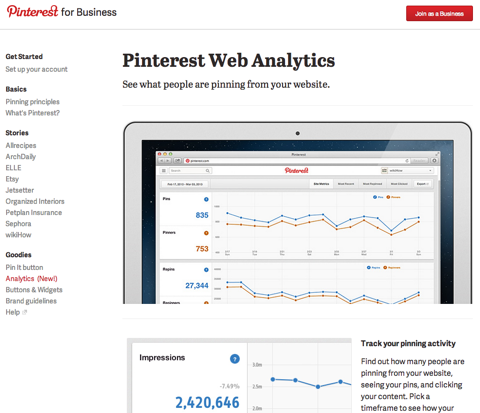 You can also add Twitter and Facebook feeds to your website. This way people who visit your website can be kept up to date about your social media posts. 4. Use Your Social Media Properties and Provide Great Content! Now that your social media profile is setup and optimized for users, you need to make sure to actually use it and engage people. You can do this by providing unique and useful content. One of the best ways to do this is to provide lists of the top ways to do something. For example, if you have a health related website, you could post about the top “8 Ways to Burn Belly Fat”. A title like this looks both interesting and engaging. You can engage customers in a lot of different ways. One way is to just ask your audience questions. Asking questions is a great way to start a conversation with your customers and build relationships. Another thing you can do is listen to your customers. Social media is not just about marketing your services but also listening and having interactions with people. Listening to customer can empower you and your business about what customers really want. This will ultimately lead to higher customer satisfaction. As any metrics-obsessed marketer can attest, a campaign is only as successful as you can prove it to be. But beyond flaunting your progress for the benefit of hovering clients and executives, social media reporting can lead to valuable insights to inform not just your social campaigns, but your marketing strategy as a whole. Read on to learn five advanced tracking techniques that may be missing from your current reporting strategy and how they can serve to improve your overall campaign. So, let’s begin with the basics: What’s a conversion, and how do you track it? A conversion occurs anytime a consumer or client does what you want them to do. 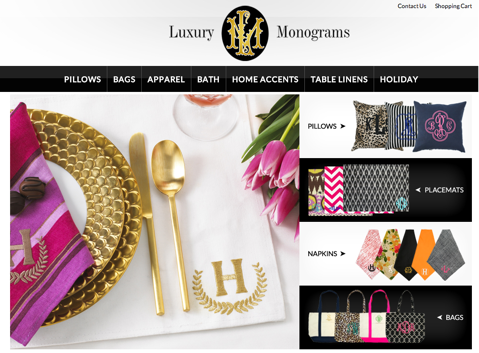 This could be buying an item from your site, visiting your brick-and-mortar store, joining your mailing list, watching the video on your homepage, or calling your 800 number, among other possibilities. Some conversions are easier to track than others; while it’s pretty easy to set up eCommerce and Goal Tracking on Google Analytics, finagling a brick-and-mortar customer into remembering where they heard about your deal on widgets is another story. 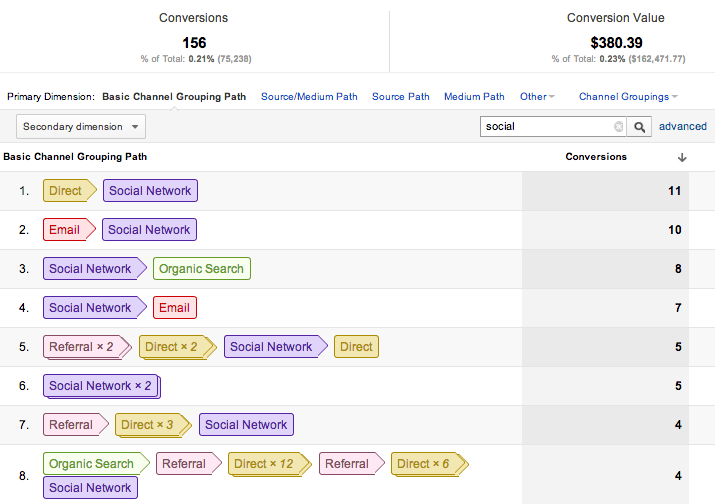 Google Analytics’ Top Conversion Paths feature (found under Conversions > Multi-Channel Funnels) makes it easy to see contributing sources to your tracked conversions, not the just the direct source they visited right before converting. This is a great way to appreciate the value of a strategy like social media, which can be an important component to the conversion process. In the screenshot below, I searched “social” on analytics to bring all of the social networking results to the top of the list. Now, I can see that my website has received 156 conversions with social media components in the last month for a total profit of $380. Just because a conversion cannot be monitored on Google Analytics does not mean it cannot be monitored at all. For brick-and-mortar scenarios, consider providing a printable coupon that can be tracked in the store, or simply imploring shoppers to say “Facebook” at checkout for a small discount. You can also try marketing for one location at a time so your other locations can serve as control cases. When my company was just getting started with Facebook advertising, the barrage of data was understandably overwhelming and we tended to cling to certain critical stats, which are indications of success: Cost Per Fan (CPF), Cost Per Click (CPC), Click-Through Rate (CTR), etc. However, each campaign has its own distinct challenges, variables, and success rates, and lumping them together into net data points can lead to some deceiving results. For example, assume you have a CPF of $.35 for your current ads. This is a pretty good rate, but when you look further, you realize that your ads targeting women in their twenties rake in a CPF of $.05, while your campaign for middle-aged men has a CPF for $.70. In this scenario, it would make sense to put more of your budget to the $.05 CPF ads (assuming you’re OK with an influx of chicks) while continuing to experiment with your $.70 CPF ads on a smaller budget. You can segment your ads by many different factors, including age, gender, location, interest, product line, and landing page/app. 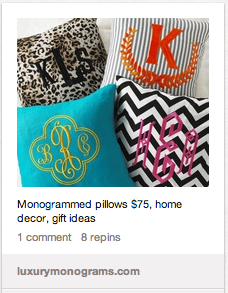 Step 1: Pick a prize at least $200 in value of interest to your target demographic. 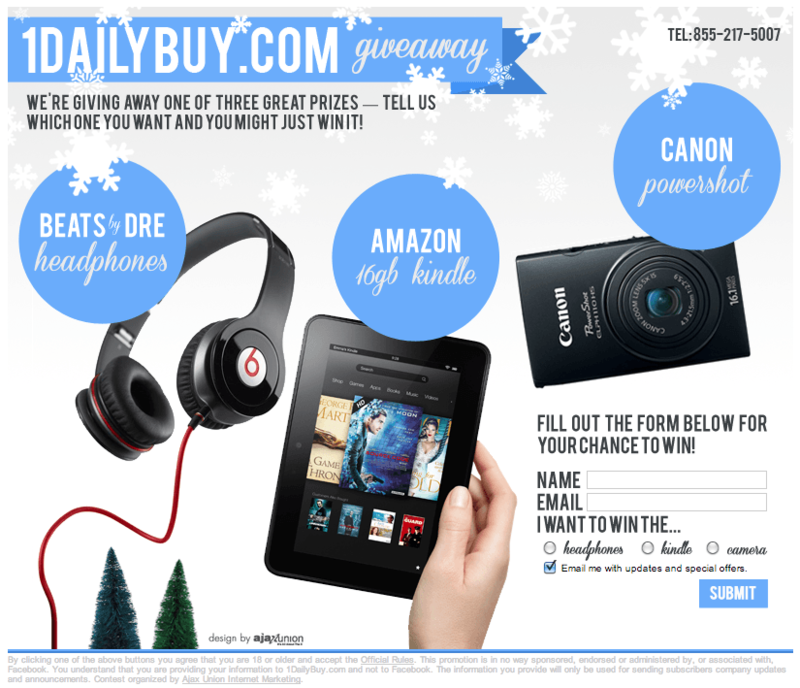 Step 2: Create targeted ads that promote said giveaway. At the end of your giveaway, which I recommend you run for about a month, you should have a collection of targeted email addresses for your marketing pleasure. If you’re new to email marketing, try out MailChimp, which is free for up to 2,000 email addresses. Why email? Email marketing continues to have the highest ROI in online marketing, because when a user opts in to your email list, they are giving you a major vote of confidence. Store your social media campaigns as distinct lists on your ESP to compare your return from various demographics, while benefiting from additional data points such as open rates and clicks. This same method can be used on social networks beyond Facebook as well, as long as you are leading users to an email opt-in entry form. *This last part is important! It’s better to have a smaller list of prospects interested in your email blasts than a sprawling array of people who only wanted to win a free whatever. Share of Voice (SOV) and Influence are two of the newest — and most important — metrics in social media. SOV calculates your company’s slice of your industry’s social media pie. This metric concerns brand mentions, so it incorporates content authored by you and your competitors, along with content by the general public. To calculate your SOV, take the quotient of your brand’s total mentions over the total mentions of all the brands in your industry. Browsing your general SOV across social channels can be a good way to get a sense how you’re stacking up against competitor groups. For even more telling results, partition your SOV by network to review missed opportunities on a site-by-site basis. As an example, you might have a 20% SOV in general, but only 5% on YouTube, which would mean you need to step up your video game. To monitor your SOV, consider paid solutions such as Radian6, Spiral16, or Scoutlabs, or get started with SocialMention, which is free. Influence is essentially the PageRank of the social media world, and it serves as an important statistic, especially in the context of the bottom line. Measured for both users and brands, Influence quantifies the extent to which an entity’s shared content can affect the behavior of other users. There are a couple major players in the Influence world, each of which measures things a bit differently. 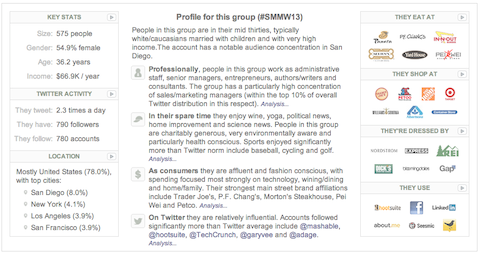 Compare yourself and your brand with competitors on Kred, Klout, and PeerIndex to see what insights can be gained. Other potential metrics in the Influence vein include community sentiment (are your fans and followers happy? sad? neutral? ), community size, and level of engagement. Remarketing — or as I like to call it, legal stalking — is one of Google AdWords’ coolest innovations to date, but a lot of marketers forget to incorporate it into their social media strategies. In case you are unfamiliar, remarketing is a way to reach out to users that have previously visited your website using visual ads on the Google Display Network. This is accomplished by embedding Google’s Remarketing tag on the pages of your site; you can have one general tag for your whole site, or correlate specific ads with specific pages — so people who visit your digital camera page can see more ads about digital cameras, for example, rather than ads cover all of your products. Since Facebook applications are just iFrames (i.e., external pages coded and designed by you), these can also be used to house Remarketing code, allowing you to turn visitors to your Facebook page into visitors to your site. Google AdWords offers a host of its own metrics; you can try out different Remarketing lists with different apps and demographics, and compare your results and conversions to shape your strategy moving forward. Properly building an XML Sitemap and submitting it to Google is one of the fastest ways to get your content indexed and is often overlooked (this is a must read).